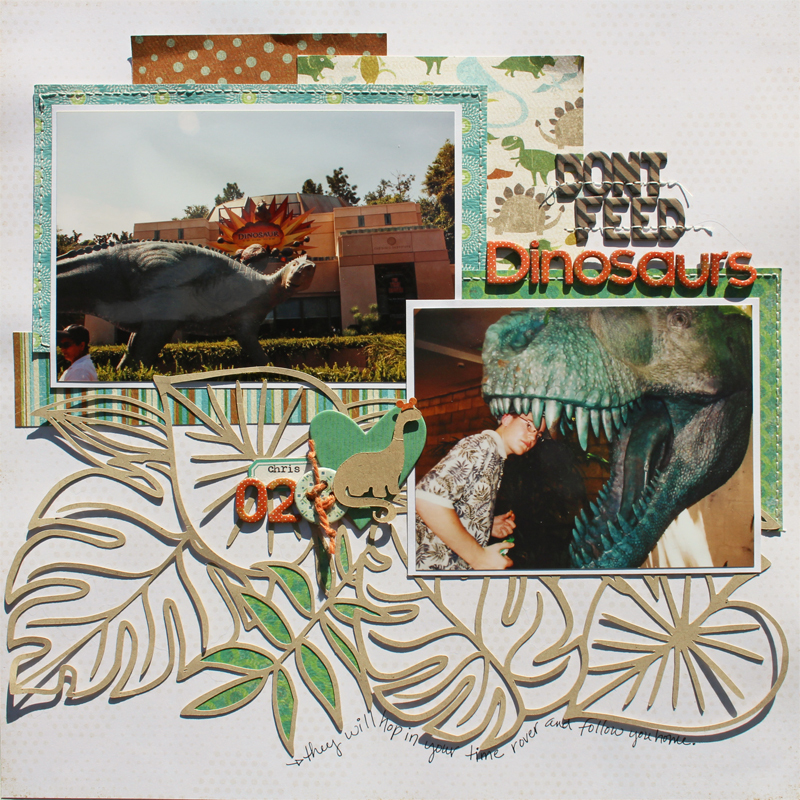 Part of the layouts that I did last year were from a trip we took in 2002. My goal was to completely finish that trip. It didn't happen. LOL. but I did get close. For these, I kept it a bit more simple for the most part. Here are a few of the pages. 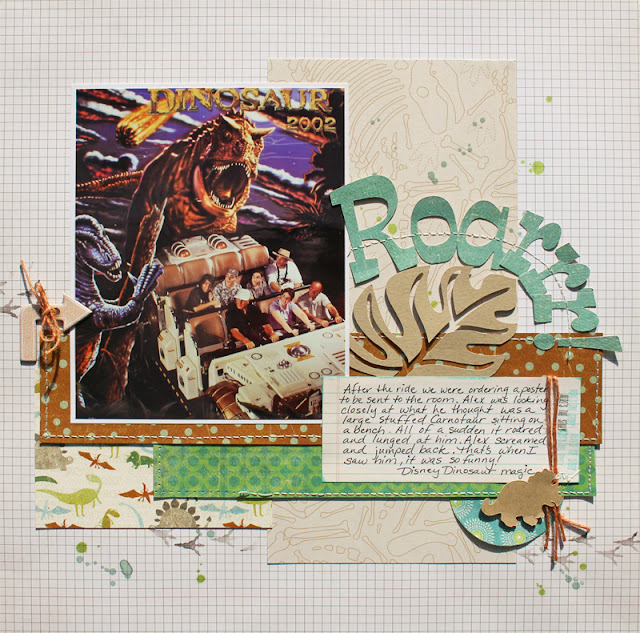 For the first page I used a cut file that I created for Disney Scrappers. I think cut files like this have big impact and have texture without using a bunch of embellishments. The papers are super old MME I think. and while I had those papers and photos out, here is one more from Dinoland. If you look at the cut file above, you can see that the negative space left is the piece I put on the layout below. And one more from that trip. This was the boys first time to meet Mickey. I used an older collection from Echo Park Paper called Scoot. 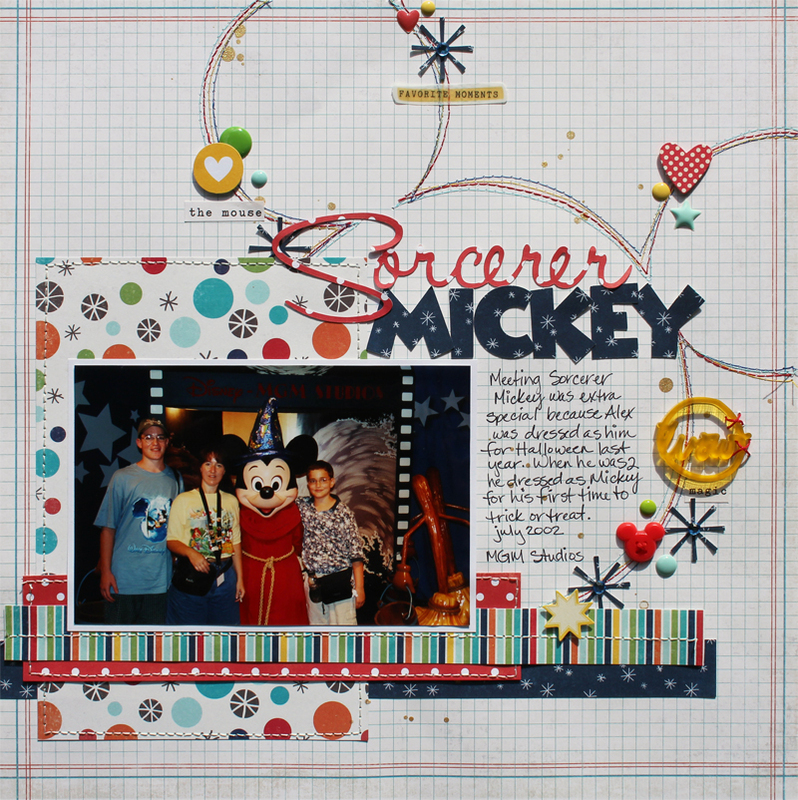 Its a collection for little boys layouts but it is often one of my favorites for Disney. so fun to see your big handsome sons as boys!